I started this year off, as most people do, with the best of intentions for this blog. I was one of four semesters down in my graduate program, fairly well-rested after the winter holidays, and full of good cheer. And then life happened ... with no summer break to speak of, I've been trudging through this program and missing out on much-needed sun rays, and I have come out on the other side -- sort of. The last semester of this program started last week and I can already tell that it's going to be a rough one. Save the best for last, right? This last semester is met with bittersweet feelings -- ready to get the heck outta school, but not quite ready to face the "real world" again. I guess the greatest obstacle I will have to surmount this semester is the decision of where I will be post-graduation. Unlike some professions, this one requires me to target one particular state so I can begin the licensing process without wasting any time. It's kind of time to settle down now. My heart is leaning towards California, as it has since I was 19 (over a decade ago!). The reason I finally had the motivation to sit down and write this entry is because I realized how much I have been moving around since I started this blog, and how many states (and countries!) any regular readers of this blog have traversed with me. And then I realized how little I have shared about my time here in the Midwest, and how easily I could have glossed over my time here, only to show up in California (or wherever I may end up), as I did with my brief time in Florida's Suncoast last year. 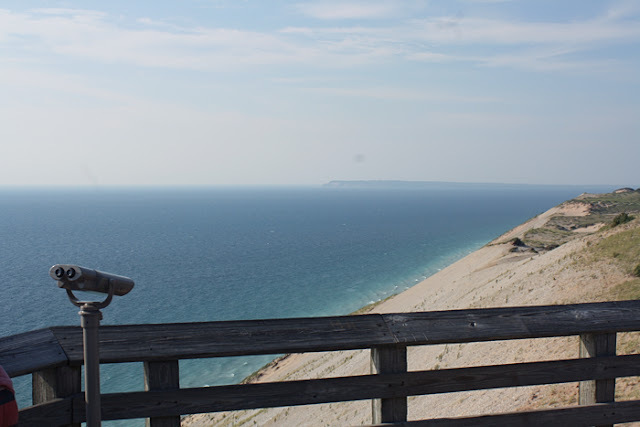 To build some momentum, here are some photographs of a quick trip I took to Sleeping Bear Dunes (voted "The Most Beautiful Place in America" by Good Morning America viewers in 2011) in Empire, Michigan this summer. My photographs do not nearly capture the vastness of this space. 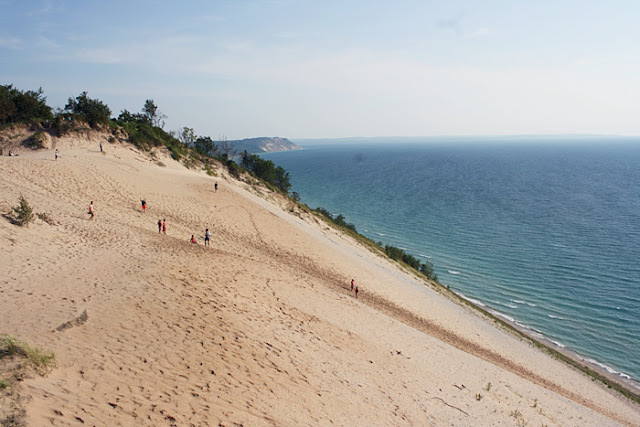 I had seen photos prior to going and marveled at the idea that there could be a place that resembled a coastal beach in a basically landlocked Michigan. 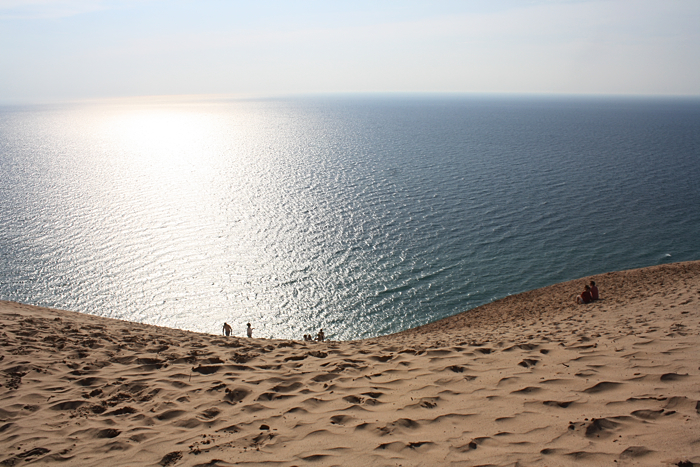 And then I found myself standing at the top of this sand dune, shielding my eyes and mouth from grains of sand and stunned by how enormous Lake Michigan is, and how small I am. 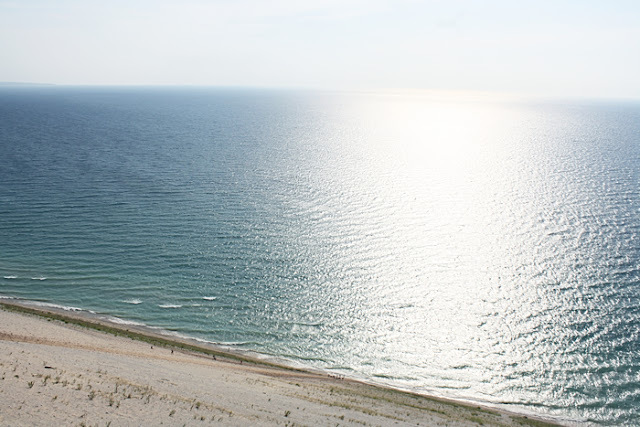 It is a place that needs to be experienced in person, a place and an experience photographs truly cannot capture. It was truly, truly, truly windy. I felt at risk of being blown straight down the dune into Lake Michigan, and that felt exhilarating, like I could easily tumble over the edge of a "precipice." Maybe you can see the "layer" of airborne sand above the actual sand dune. My hair was completely out-of-control and the tight lycra hip-length t-shirt I was wearing was lifted on more than one occasion to ... immodest areas. 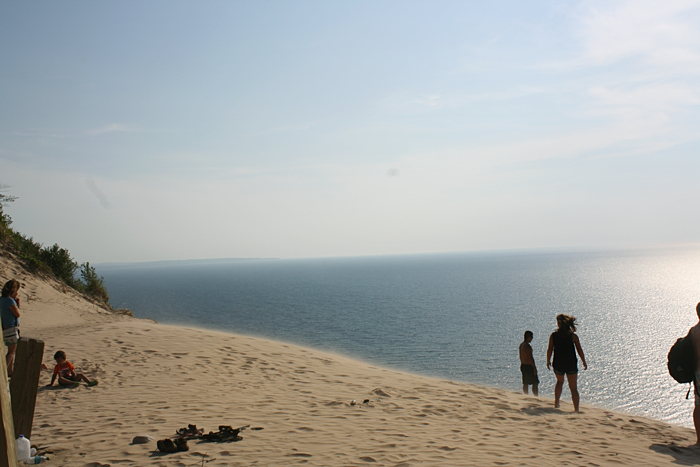 A dip in the sand dune. 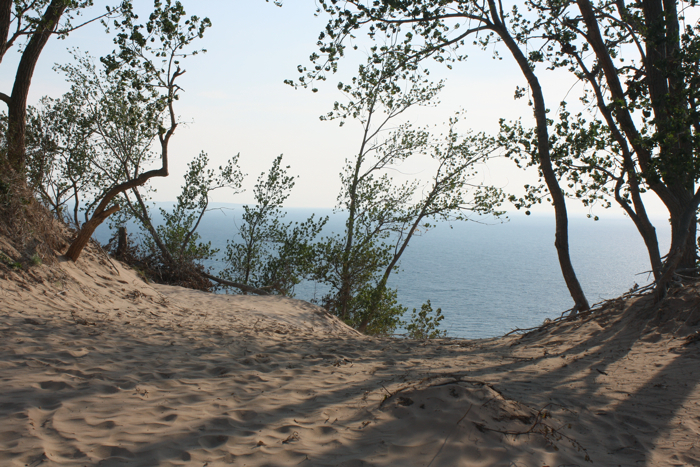 Those little upright black things are people climbing down (or up) the sand dune. I hope to check in at least once a month between now and the time I finish my program at the end of the year, and after that ... who knows! But I'll be sure to keep some record of my little discoveries. + I am a little better at updating my Instagram, so if you're interested, you can follow along there!